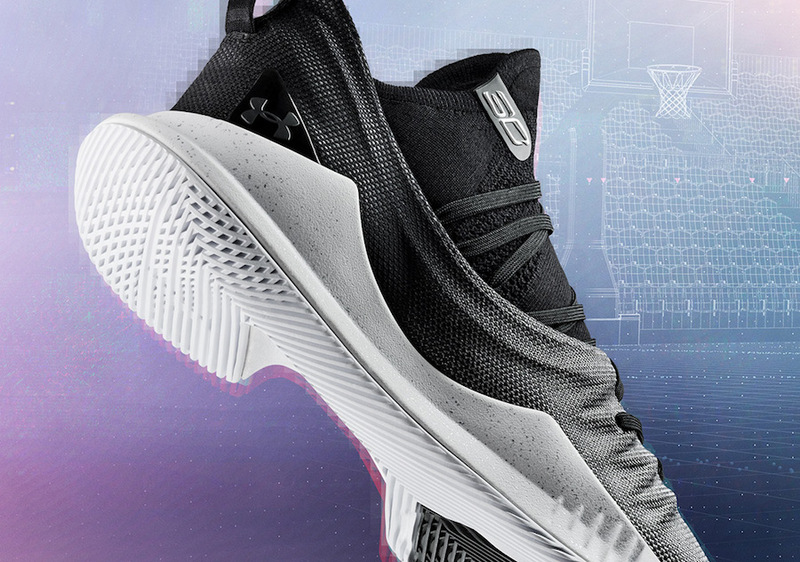 Under Armour and Steph Curry are set to release their newest Curry 5 dressed in a Black and White color scheme paying homage to how he has broken the mold of what we expect out of our basketball superstars. It features a two-toned black upper atop a bright White midsole with minimal Black speckle running the full-length of the shoe. The Black and White patterned knit sets the silhouette and marks the blending of the two seemingly contrasting colors into one – a representation of the different sides of Stephen’s game coming together to create something incredible and indelible. Look for the UA Curry 5 Black/White to release on August 10th at select UA retailers, UA.com, and other locations like Foot Locker, Champs Sports and Eastbay. The retail price tag is set at $130 USD.